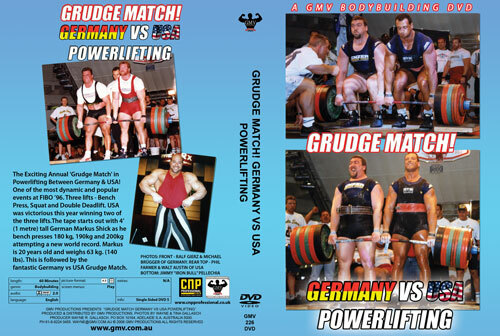 The Exciting Annual 'Grudge Match' in Powerlifting Between Germany & USA! 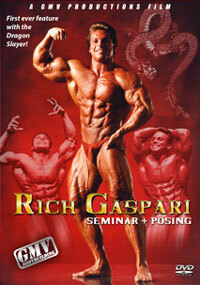 One of the most dynamic and popular events at FIBO ’96. 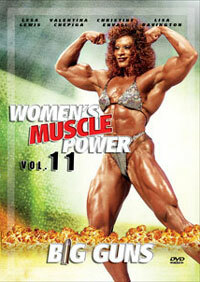 Three lifts - Bench Press, Squat and Double Deadlift. 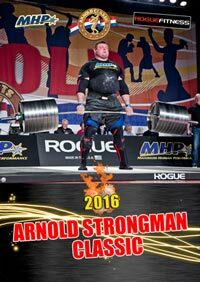 USA was victorious this year winning two of the three lifts.The tape starts out with 4’ (1 metre) tall German Markus Shick as he bench presses 180 kg, 190kg and 200kg attempting a new world record. Markus is 20 years old and weighs 63 kg. (140 lbs). This is followed by the fantastic Germany vs Grudge Match. James Henderson is a modern day Samson, who has benched 705 lbs in a t-shirt with no other lifting aids. He practically steals the show as he dances with a lady from the 5000 strong audience. 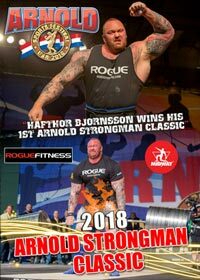 He gave the most lively, charismatic interview we have ever recorded at FIBO - after his victory over German powerhouse Thomas Roettsches on the Bench Press. 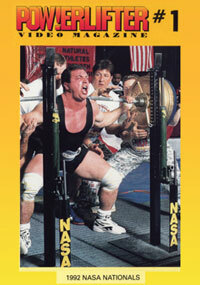 Germany’s Frank Schramm wins the squat competition leaving the double deadlift as the decider. 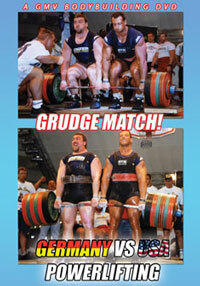 See USA’s Phil Farmer and Walt Austin in their stupendous gut-busting deadlift of 685 kg (1507 lb)!! This video will really get your adrenalin pumping. 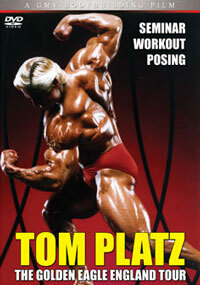 Jimmy 'Iron Bull' Pellechia from the USA performs power curls and then hits a few poses after his interview. 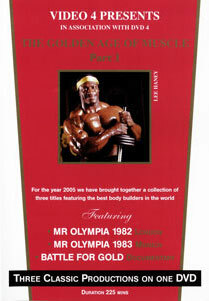 He is the worlds strongest Power Bodybuilder. Finally, strongman Manfred Höberl of 26" arms fame poses his incredible arms.